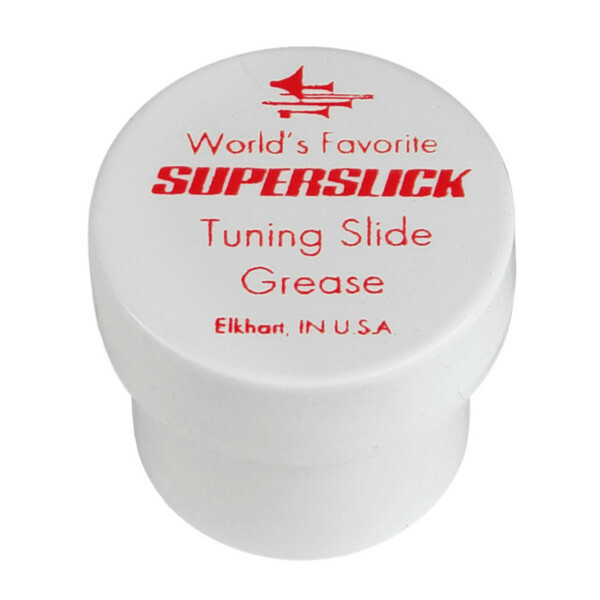 This Superslick Tuning Slide Grease offers perfect lubrication to all tuning slides while also giving the perfect amount of resistance to prevent unwanted slipping. Suitable for all brass instruments, this is a must have accessory for all instrumentalists. While acting as a great lubricant, this Superslick Tuning Slide Grease offers enough resistance against the tubing to not only form a seal around the slides, but also give enough resistance to stop the slide from unwanted movement. This makes it great for all metal tubes.